As part of its Wireless Reach initiative the ARM chip manufacturer Qualcomm has teamed up with Project RAY Ltd, an organization that deals with designing tools for the visually impaired and the blind, to bring out an Android based smartphone, Ray. Through this specially designed smartphone the team hopes to introduce a unified device for the visually impaired that will function in a similar fashion as regular smartphones. The common problem faced by visually impaired people is the general unavailability of a devices that will take care of all digital requirements. Generally, such people reply on a 2G handset for making calls, another device to read out audio books, a voice enabled MP3 player to listen to music and a different device for navigation etc. To begin with, these specially designed devices are expensive and the need to handle multiple devices makes things that much more difficult. With Ray, there will be single smartphone that can be used for making calls, sending text messages, listening audio books, navigation, social networking, remote assistance and a lot more. The device will be provided with 24/7 mobile broadband connection and will be constantly connected to Israel’s Central Library for the Blind, Visually Impaired and Handicapped, which will give the user access to the library’s huge database of audio content. 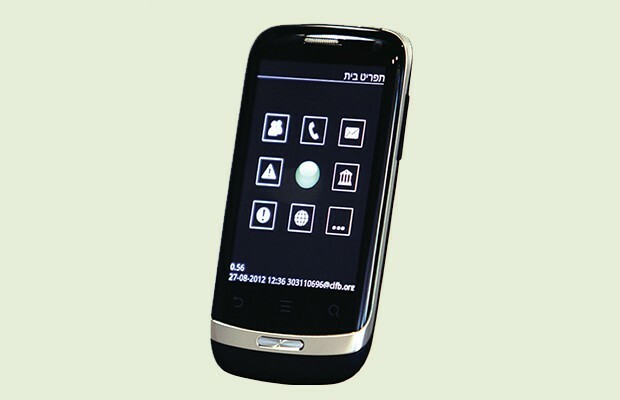 The Qualcomm Snapdragon powered Ray is currently being used on a trial basis by 100 Israelites around the country.